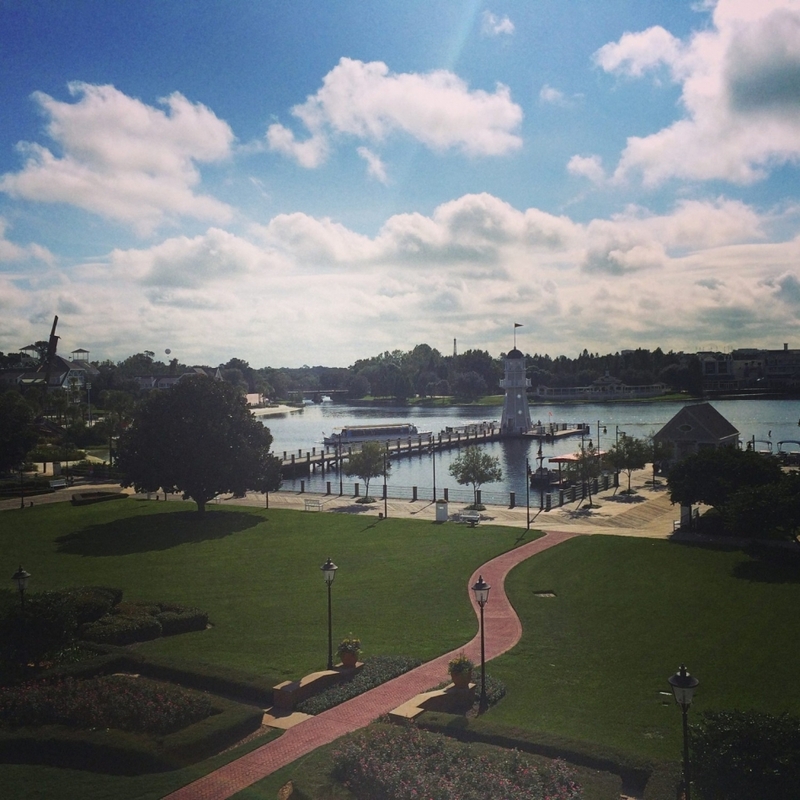 We recently returned from a trip to Walt Disney World where we stayed at the Yacht Club Resort. Josh had stayed there before but the girls and I hadn’t. We’ve stayed at the All Stars/Pop Century and the Animal Kingdom Lodge previously. Both have their advantages and disadvantages. It was really nice to try somewhere new, and we were very excited about the look of the property. 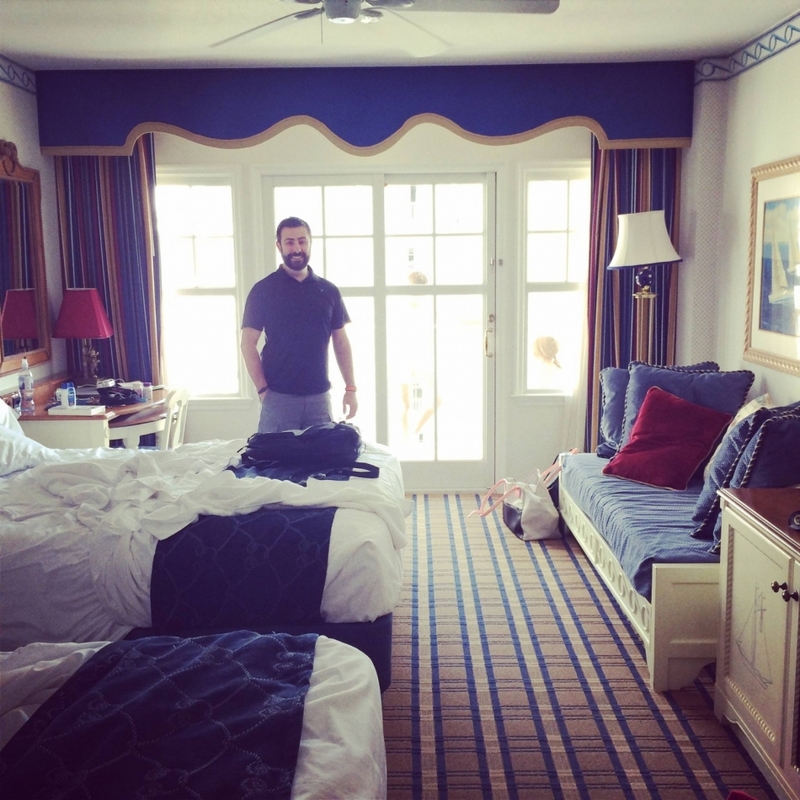 Our room was really lovely, to be honest – in Disney standards it was actually quite roomy! We had two queen beds and a day bed/pull out couch and I love that Disney keeps the sinks and mirrors outside of the toilet/shower area so more than one person can get ready at once. I loved the New England feel to the room and resort – it was relaxed yet upscale. We also had a balcony with a great view of the Boardwalk area and the lake. The pool is amazing at the Yacht and Beach Club. (The two hotels are different, yet connected and considered all one property – sort of, lol) It has a sand bottom area, a great lazy river, a whirlpool and a really cool waterside up in a pirate ship. They are really strict on security at all the pool entrances, they scan your magic band and then give you a wrist band to show you’ve been scanned and so you can go on the waterside. 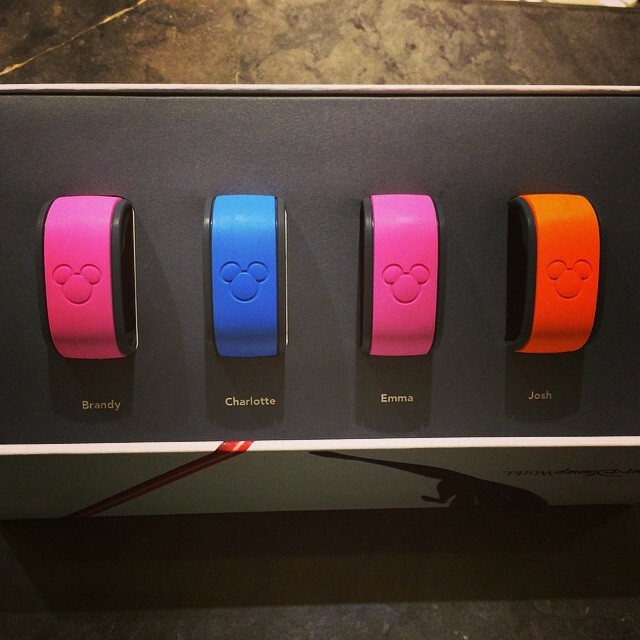 Which kind of defeats the purpose of the magic bands but oh well, it’s just a paper bracelet that is easy to remove later. There’s a poolside bar and restaurant, but we didn’t spend too much time at the pool – we were always busy at the parks. We mainly used the pools to cool down or relax our sore muscles. There are all kinds of places to eat at the Yacht and Beach Club, and unfortunately – this is where the resort falls apart. Everyone who goes to Disney knows that there are certain places that you need to book MONTHS out (Be Our Guest, Cinderella’s Royal Table) but I was unaware that I should have been making reservations for every meal at our hotel in advance. There is a soda shop called Beaches and Cream that has ice cream and diner style food that I was really excited to try. Unfortunately, this restaurant was booked solid when we were there – which was supposed to be at one of the slowest times of the year (end of September). How all of these people knew before they even left for vacation when they would not only be at their hotel but also craving ice cream is beyond me. We couldn’t even wait for a table at 2pm – they just turned us away. It was really frustrating (and upsetting for a hungry pregnant person). The only places available to us to eat at that afternoon was the outdoor pool cafe or the English pub. There was also a situation of trying to have breakfast at the hotel, and not being able to get a table at all. The hotel never seemed crowded and we rarely met a soul waiting for the buses, so it’s my guess that they just understaff at non-peak times, which is very frustrating. Another potential downside is if you enjoy buying the Disney mugs to fill and refill at your hotel. One price and it’s all you can drink coffee and pop. When staying at the All Stars, I have found these mugs to be a great value. When staying at the Yacht Club – you will NEVER use it. You can fill up with coffee in the morning at a self-serve station at the bar in the lobby. Other than that, you need to walk for about 10 minutes to reach the Beach Club Marketplace. Then 10 minutes back. It was never worth it for this waddling girl to walk 20 minutes for a pop, so Cherry Coke in the gift shop was my non-free solution. On the upside – location, location, location! We loved being able to walk to Epcot and take the boat to Hollywood Studios. The buses to Magic and Animal Kingdom were speedy and never crowded. The Yacht Club got picked up and dropped off before the Beach Club so that was always nice. We also never waited more than 15 minutes for a bus the entire trip. The staff made the stay great for us. Everyone was amazingly accommodating, and on the one day where we had a few snafus over food – the front desk made it right for us with 3 fast passes that we could use AT ANY ATTRACTION. Which is like magic, let me tell you. We used one for the Electric Parade and we got to sit front and centre for the parade, right in front of the castle. It was amazing!